Wait…it is the start of summer here in the northern hemisphere, yes? Yet, our book-film duo post series has us veering into cold, dark horror territory this month. How can this be? Credit my partner down under, the blogger otherwise known as the Scientist Gone Wordy. Rachel put forward this famed, some would label infamous, combo. The wordy one will look at the 1977 novel well-known by a legion of readers, which was adapted to the cinema screen three years later by an equally renowned filmmaker, which I will review. Still, it’s not going to be that simple. A brief synopsis of the film: Jack Torrance, family man, former teacher, and struggling writer, has brought his family out west to Colorado to make ends meet. Having signed a contract to be the winter caretaker of the Overlook Hotel in the mountainous region of Sidewinder. A job that carries five months of smothering isolation amidst the cold as the resort is normally snowed-in during this stretch. Except, they won’t be really alone. For the Overlook has its share of ghosts…and a dark past. While Jack battles alcoholism and his rage through writing, something malevolent has taken a shine to the family. If they are to survive this place, the talents of their five-year-old son Danny may be the only thing that can save them from what became of the previous off-season custodian and his family. Just not going to be any winning here. There, I’ve said it. Y’know, looking back on my jaunt with the works of both Stephen King and Stanley Kubrick over the years, both longtime favorites of mine, should undoubtably be a happy one. Certainly memorable. Yet, only the latter seems to fit here when examining the intersection of these two well-regarded artists. Their common work being one they and their respective fans have glommed on to with zealousness. Perhaps, I should adjust my approach to the problem. Admittedly, when I saw this, having read the novel when it was making the rounds as a young twentysomething, I was deeply disappointed. As were other book fans, and famously, the author himself1. I’m well aware that book-to-film translations, by their very nature, involve changing aspects and storylines to fit the cinematic needs of the moving picture form. It damn well requires it. They’re different animals, I get that. Happens all the time, excluding…say…something like Rosemary’s Baby, for instance2. Through the years, though, I confess to have come to appreciate, to an extent, what Stanley Kubrick accomplished. The brilliance he delivered to the screen with his diverting* translation. Grudgingly, one of the creepiest films to have laid claim to a portion of this here psyche of mine. Call it my bipolar disorder approach to The Shining. Love the freak out cabin fever the film produces with each screening, along with the visual acuity on display as it disorientates and chills the audience, while growing ever so pissed with it. Miffed for what the film is missing — what the auteur-stylist Kubrick could have brought to King’s original story3. Yes, yes. The director was well known to radically amend source material he directly touched with his films. His Dr. Strangelove or: How I Learned to Worry and Love the Bomb being a prime example. Turning the Cold War thriller, Red Alert by Peter George, into one of the most remarkable black comedies ever. The closest Kubrick stayed to the original content likely were A Clockwork Orange and Full Metal Jacket. Even then the former’s author, Anthony Burgess, praised and found fault4 with what the director did with his novella. 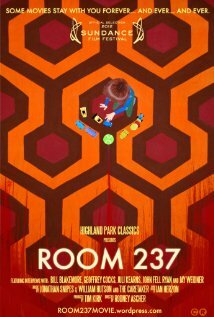 * more on that below in the Room 237 section of this review. Like a few of his productions, The Shining didn’t so much as land on movie theater screens as thudded. Generated less than stellar reviews and criticism at the onset. Yet, within a few months and years, a slow appreciation began to build. Mostly by those who revisited and re-examined the work. Digging out the unique aspects of its tremendous cinematography5, art direction, and…dare I say…clues Kubrick left scattered throughout to give his enthusiasts’ wet dreams via their ongoing analyses of the film*. As much praise as each form of the work receives, there is seemingly similar criticism one side periodically lobs at the other, and vice versa, especially when comparing this key composition across their respective mediums. I think it comes from the comparable statures, within their own fields, the director and the author lay claim to. Neither can or will budge the other. Perhaps, why Kubrick’s other film adaptations weren’t as controversial as this, though even those can get vehement when you come across them. Maybe if the filmmaker hadn’t made symbolic cinematic prods at the writer in the film, it wouldn’t have gotten so personal. 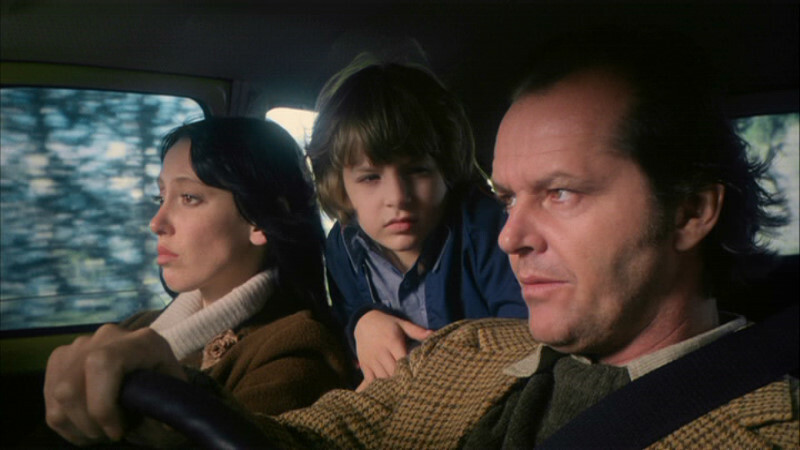 Casting Jack Nicholson (Jack), Shelly Duvall (Wendy), and Scatman Crothers (Hallorann) seemed to fly against Stephen King’s characters of the novel6. The film’s wrecked red VW Bug (used in the book), laid wayside as Hallorann drives passed to rescue Danny and his parents, emblematic. Surely, that ‘axe to the chest’ greeting the character met could be construed as Kubrick’s defiant pith for King’s haunted house tale. Still, this film had a great deal going for it. 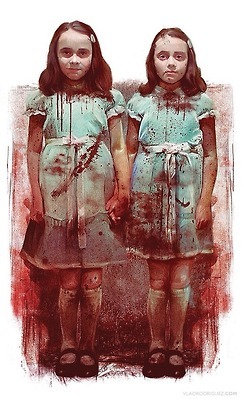 An acclaimed cast, which went through some arduous shooting during film production; a hotel set that has to seen to be believed (and stood up well to the likes of all great haunted house fare out there, The Haunting and The Legend of Hell House great examples); and a music soundtrack so representative of the grandiose Kubrick. 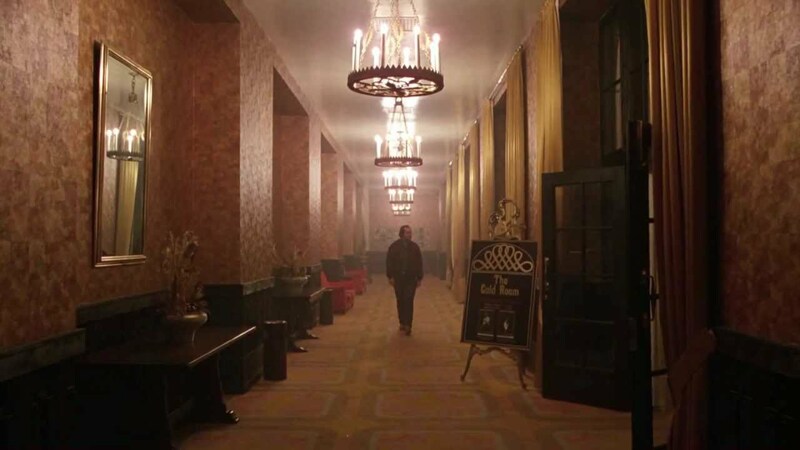 The classical music used, along with Wendy Carlos’ minimal scoring, stressed the malefic and disturbing atmosphere of the Overlook. Typical. Truth be told, I know I’m not going to convince in whoever’s camp one way or the other with my take. Nor maybe those reading this that The Shining was both a masterful piece of filmmaking by Stanley Kubrick, in spite of the fact he failed utterly at bringing the essence of a indelible novel by Stephen King successfully to the motion picture screen. Conceivably, the only thing I’ve done was prove I could be as wishy-washy as the next guy, or merely just another manic depressive…with a metaphorical axe to swing. Who knows. My duo post partner requested for this month’s review to include a brief examination of the 2012 documentary by Rodney Ascher. A factual film about The Shining through the eyes of various fans and scholars about perceived meanings in Stanley Kubrick’s film. I’ve seen it, watched it twice now. It’s much like the movie. On one level intriguing, even insightful. On another, the myriad of hidden meanings offered, and the variety of connections, mind-blowing. Along with being mind-numbing; some even batshit nuts and egotistical. Worth a look, though. But like the film adaptation, your mileage may vary. I”ve long been mulling over the idea of a Kubrick marathon on my own site. I keep thinking about his stuff (Shining, Clockwork, Strangelove, etc) and I really must get around to it. 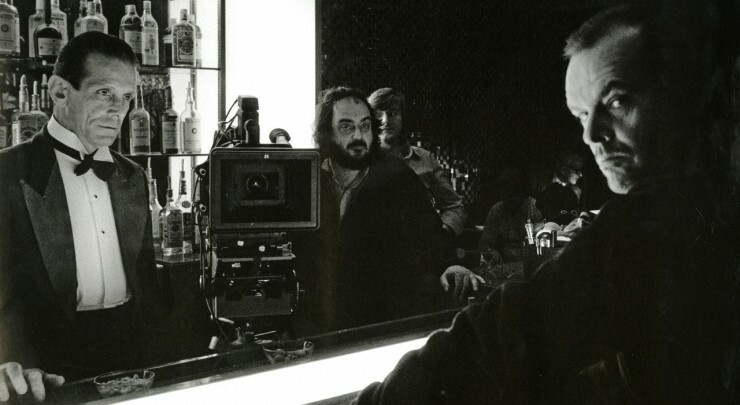 The Shining is one of my favorite Kubrick films, mainly for Nicholson’s frenzied, wild-eyed work. Terrific. Sorry to be so slow to comment here, that cold I picked up? It just kept getting worse and worse. I’m only just now crawling out of my bed and trying to remember what normal life is like. Ugh! Anyway, as you probably guessed from my review I definitely need to re-screen this one and have not yet had the chance. Or the documentary. I am going to blame it all on the cold for my lackluster contribution this month. Again, my apologies! I hope to get to my viewings soon. One thing I do wonder, and always wonder with adaptations that really seem to miss the heart of the source material, is why adapt at all? If you have a completely different story to tell why not just tell that story? What’s the point of an adaptation when all you use is the names? I didn’t realize The Shining was that autobiographical in nature. Thanks for including that tid bit. The constant rationalization of the alcoholic was one of the more irritating aspects for me of Jack’s character but very realistic. I also love the interview bit that you included. Obviously King would have great insight into his own work (haha) but it’s so very true that he’s not interested in distancing his audience. He wants you right there for every stomach drop and emotional upheaval. Thanks for doing this one! So interesting to read your thoughts on this controversy-inducing pair. I hate summer…er, winter (for those below the equator) colds. They really are miserable. You have my sympathy and complete understanding about doing movies, or just about anything, when putting up with these viral indignations. Well, studios, and filmmakers for that matter, love that they’ll get a built-in audience when their version of the film adaptation comes out. Who cares if it’s faithful…their “art” somehow stands on its own — or something to that effect. Yes, Stephen King’s drinking problems were kind of self-documented with some of his novels. Why some of those excuses, irritating as they were, had a portion of truth in the telling of the tale, at least to those who’ve lived with someone who had a “drinking problem.” He really does bring his audience an upfront, and unsparing, experience. Another superb review, Michael. Loved reading this. 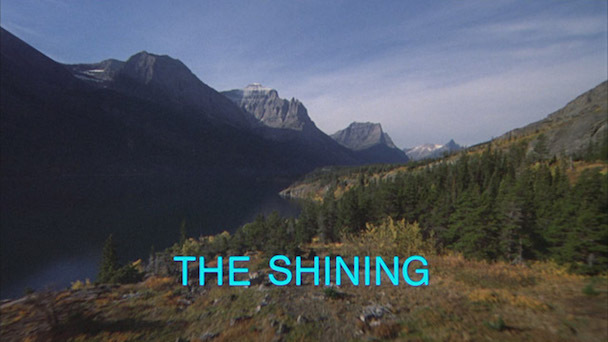 I’ve always been unmoved by The Shining; possibly Kubrick’s most overrated film. It’s perfectly fine, but Nicholson is clearly mad from the word go and by the end is exhausting.